A milk allergy is a true immune system response to cow’s milk. About two to three percent of children are allergic to milk, and it is one of the top eight food allergens responsible for the majority of allergies. 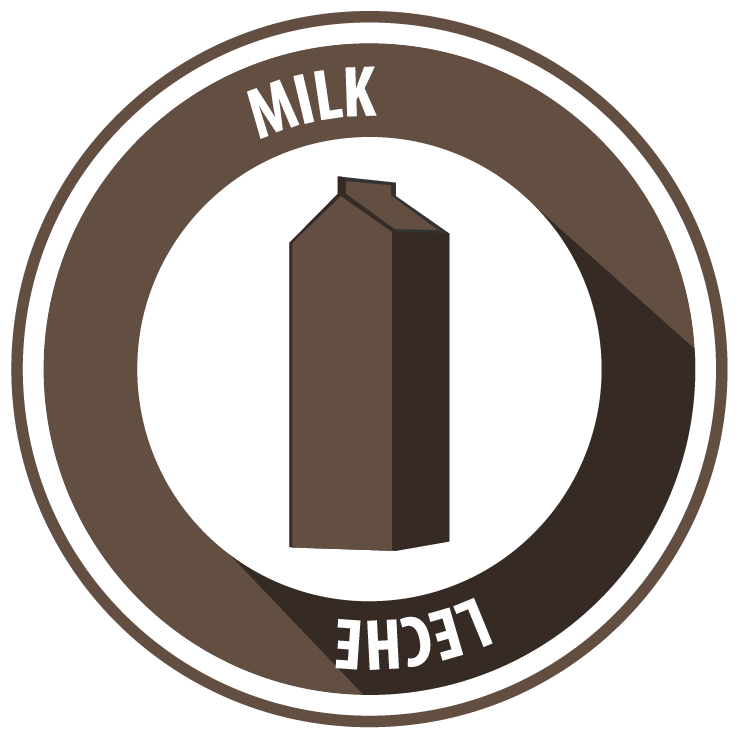 Approximately 80 percent of children with a milk allergy will outgrow it by the age of 16. Symptoms of milk allergies may include: Upset stomach, Vomiting, Bloody stool, Hives, Anaphylaxis. Lactose is a sugar found naturally in milk, and this is the culprit in dairy intolerance. People with lactose intolerance lack the enzyme lactase, which is needed to break down this sugar. The primary symptoms that lactose causes in someone with this intolerance are digestive: Diarrhea, Nausea, Vomiting, Stomach cramps, Gas and bloating. Unlike a milk allergy, having lactose intolerance does not mean a person has to give up milk and dairy entirely. The severity of symptoms varies by individual and some can tolerate eating some dairy. To avoid symptoms entirely, though, it’s best to just avoid milk and milk products. Because it is lactose and not the milk proteins that cause the intolerance, it is not necessary to avoid processed foods that have added casein or whey. Some people use the terms milk allergy and lactose intolerance interchangeably, but this is inaccurate and confusing. It can lead to dangerous risks because milk and milk products can be life-threatening for someone with a true allergy. If you or your child has a bad reaction to a dairy product, see your doctor for an allergy test. This is especially true for your child, as milk allergy is much more common in children. You need to know which issues is causing symptoms so you can practice appropriate avoidance. While you should always check labels for allergens, keep these in mind as items that may have milk more common than other items. There are many alternatives to milk so that you and your family can still enjoy making recipes that used milk without triggering your child’s allergy. If you have any concerns about the alternatives, ask your child’s allergist. Almond milk, Soy milk, Coconut milk, Rice milk, Oat milk, Hemp milk. Silk or Mocha Mix brand soy creamers or light coconut milk as substitutes for light cream. Full fat coconut milk can be substituted for heavy cream.